GS Underfloor heating have covered all your needs on controlling your heating & hot water systems. Over the years we have listened to what our clients needs in the form of style and presentation. Our range cover everything from low voltage 12v to 240volt – volt free switching along with networking the entire property via central touch pad that also allows you to individually name and see each room. We have now introduce a Wi-Fi multi-link home and on the move system, allowing you to control your indoor environment from anywhere in the world via a mobile device. 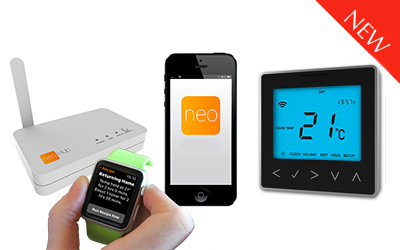 Neo continues to offer a superior way to control your multi zone heating and hot water system from anywhere. Recent additions including Geo Location, Recipes and Apple Watch support has enabled Neo to remain streets ahead of the competition. Heatmiser neoAir brings a totally wire free option to the Neo family, perfect for new builds and the retrofit market. 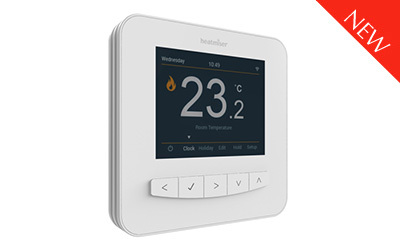 neoAir can be paired to the neoHub and can be used alongside the neoStat & neoHub – so really does offer you a flexible and feature rich smart control solution. We are pleased to announce that the neoUltra will be joining the Neo family. 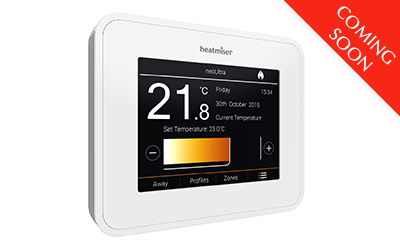 neoUltra isn’t only a thermostat but a central control for the Neo System, making it ultra convenient to change the settings on all your neoStat, neoAir and neoPlug devices. Up to 32 devices can be controlled from a single neoUltra and you can have 10 neoUltra on one system. 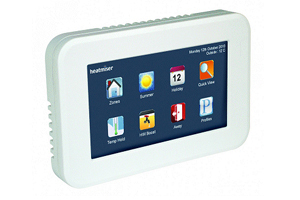 SmartStat is our all new WiFi Connected Thermostat with Full Colour LCD. SmartStat doesn’t require a hub and as SmartStat connects via our Cloud Server, setup is a dream and will take minutes. 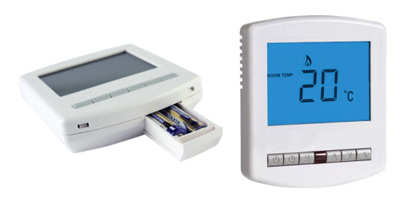 SmartStat is the perfect choice for those with a combi boiler and an existing wired thermostat. Up to 32 zones can be controlled from the SmartStat App and what’s more the Geo Location feature ensures you never heat an empty home. The Nest Learning Thermostat gives you precise control of the temperature, creates a personalised schedule for your home and eliminates the need for a programmer. 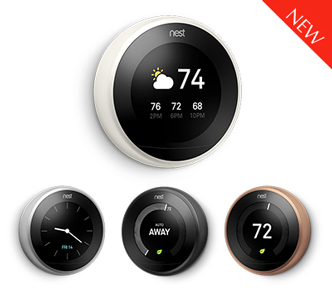 The Nest Thermostat replaces your programmer so you can control heating from one place. Instead of turning off the boiler for long periods, you’ll add very low temperatures to your schedule. That will save energy while keeping your family—and your pipes—safe in extreme weather. 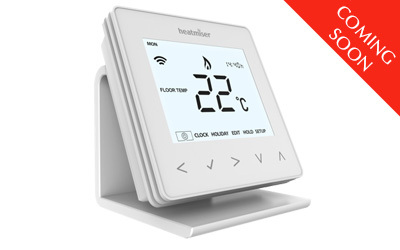 Designed to work with 12v Network Thermostats, the Touchpad provides central control of your home heating system. Up to 32 rooms can be controlled from the full colour TFT Display meaning that walking around each room to turn up or down the heating is a thing of the past. Our central wiring switch boxes have been designed to simplify the wiring process. 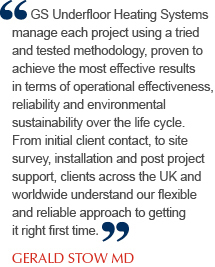 Using our wiring centres in your application means that the actuator, boiler and pump connections are wired from a single point. 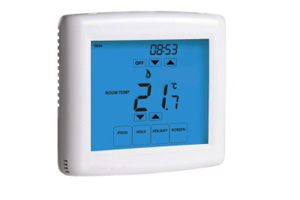 Our wiring centres are designed to work in conjunction with our thermostats. There are four options available.